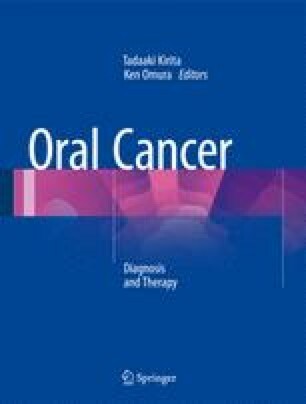 This chapter reviews the surgical pathologic findings that provided the framework for the General Rules for Clinical and Pathological Studies on Oral Cancer (first edition), which currently serves as the common foundation for the diagnosis, treatment, and study of oral cancer in Japan. Although oral cancer varies from case to case, the clinical findings to which attention should be paid were determined for different cancer types after investigating the factors that can be used to accurately predict clinical manifestations and prognosis. It took approximately 10 years to accumulate a sufficient number of cases and perform data analysis, the findings of which were amassed in the general rules, thereby providing the current notions on oral cancer. We also review the pathologic and prognostic factors, such as clinical type, tumor depth, and invasion route; oral intraepithelial neoplasia/carcinoma in situ; and the histopathological factors associated with malignancy, such as mode of invasion and mode of mandibular invasion. Development of the first edition of General Rules for Clinical and Pathological Studies on Oral Cancer was made possible by the efforts of many oral surgeons, oral radiologists, and oral pathologists. We thank Eiichiro Ariji, Satoru Ozeki, Norihiko Okada, Sadao Okabe, Yuichiro Okazaki, Ken Omura, Tadaaki Kirita, Mikio Kusama, Toru Sato, Masanori Shinohara, Kazuo Shimozato, Satoru Shintani, Yoichi Tanaka, Eiji Nakayama, Takahumi Hayashi, Akihiro Miyazaki, HisaoYagishita, and Masayuki Yamane for their contribution to many parts of this chapter.